SBI PO Mains Data Interpretation Preparation Tips: The State Bank of India will now conduct the final paper for SBI PO Recruitment, i.e. SBI PO Mains 2016. The Prelims Examination ended on 10 July and the results will be announced in a few days. Candidates who make it through will be called for SBI PO Mains 2016. If you are confident about your selection, we suggest you should start preparing for SBI PO Mains. There have been a few significant changes in SBI PO Mains Exam Pattern this year. 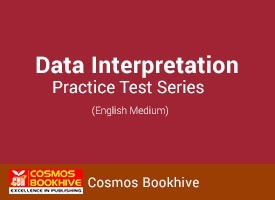 This article is primarily focused on SBI PO Mains Data Interpretation Preparation Tips and strategy to solve questions. Let us begin. SBI PO Mains will be posing new challenges for all aspirants. The new pattern have divided each section distinctly but this also means that each section can only get a limited time. So, preparing for each section is a must! SBI PO Mains Data Interpretation Preparation involves revisiting your old vices. You need to stop making those silly mistakes you made in practice or SBI PO Prelims. Read our analysis of SBI PO Prelims for each date from the links below. From the analysis above, we were also able to calculate an SBI PO Prelims Expected Cutoff for advancing to Mains. Follow the SBI PO Mains Pattern to begin with. According to the new pattern, the Mains Examination will consist of Objective as well as Subjective Examination. Note: There will be a ¼ negative marking for each wrong attempt. Exactly after the completion of Objective Test there will be a Descriptive test of 50 Marks to be answered in 30 minutes. This test will consist of Essay & Letter Writing. The candidate has to secure the minimum Qualifying Marks to qualify this test. Descriptive test of those candidates will be evaluated who manage to secure above the Sectional as well as Overall Cutoff Marks. Both tests will be online in nature. Data Interpretation is one of the most frequent types of Questions that we have in almost every recruitment Examination. Banking, SSC, Railways, and Insurance are the Biggest Employer and issue a major number of vacancies every year. The selection process is predefined. This is one of the most important topics of Quantitative Aptitude section of Banking/ Competitive recruitment exams. Being in form of case lets, it involves a lot if calculation. In a way DI can make or break your final scores and sectional cutoffs and ultimately be the difference between a name in the selection list or in the registrations list for the next exam. It is basically a calculation based portion that involved graphs. These Questions are asked in order to test the analytical view of the Candidate. The key to solve DI is to identify the important values , convert all the data into important chunks related to which Questions are there. Shortcut tricks to solve data interpretation questions? How to solve data interpretation questions with accuracy? With the help of our team of experts, we have compiled tips tricks and the best preparation strategy for DI to answer the above questions. Mugging up Tables, squares, cubes etc. 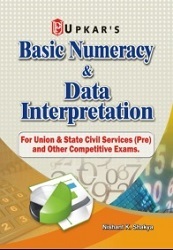 will help you in improving the calculations. DI is one of the topics that can give you a number of marks but for that candidate has to really put in effort to minimize your calculation time. Shortcut tricks like direct formulas, vedic maths and short hand can also be helpful in this case. Calculations in mind can be a better strategy to reduce time. Step 1: In this example, the numerator which is 4561 can be treated as 4560 which is the nearest integer for easy calculation. Step 2: Denominator 339 can be treated as 340, again being the closest. The answer is 13.40 which is nearly the same as the answer above. Try to minimize calculations as low as possible. Read the Questions then start calculating don’t waste time in calculating something that is not asked. Check units involved given in the graph so that you make clear calculations and conclude the correct result. Practice is the only thing that can increase the accurate attempt within the minimum time. That’s all related to DI Section. Stay connected for more information regarding SBI PO Recruitment 2016. To excel in Bank Examinations, download the Best SBI PO Exam Preparation App for free.